For reducing the residual magnetism of metallic components, without heating the component over the Curie point, there are several non-invasive techniques based on the reduction of the magnetic hysteresis loop. All of our equipment and Demagnetization Systems are based on the principle of subjecting the part to a field continually reversing its direction and at the same time gradually decreasing in strength to zero. 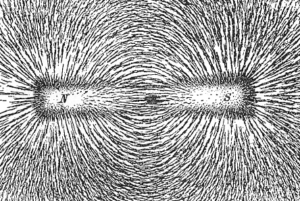 To counter the skin effect, for which the magnetic fields tend to remain more and more superficial with the increase of the magnetic field frequency provided, our systems can use the lowest frequencies to ensure a complete demagnetization of the artifacts. The simpler demagnetizer of our range is the Alternating Current Demagnetization Coil with a working frequency 50Hz. This system demagnetizes the components of small / medium size. The strength of the reversing field is reduced by axially withdrawing the part from the coil (or the coil from the part) and for some distance beyond the end of the coil (or part) along that axial line. Another Demagnetization Coil with a working frequency of 50Hz that we use and suggest for integration in complex and automated systems works by using alternating current and the current is gradually reduced to zero: the Decaying Induction Demagnetizers. Increasing the size of the pieces to be demagnetized, the skin effect increasingly reduced the effectiveness of the demagnetization as limited only to the surface portion of the components; this is not going to interfere with the residual magnetization in the center, this will tend over time to reappear. For this reason, we have successfully adopted the Low Frequency Demagnetizers, that allows for a homogenous demagnetization of the entire mass of the pieces. When the shape and size of the pieces makes it impossible the use of the demagnetization coil, we can adopt a different techniques of demagnetization: cable windings are properly made around portions of the component for the subsequent demagnetization in stages, or a high intensity current is passed inside the piece itself. For these cases, they are used in the Demagnetization for Heavy Parts. For the Demagnetization of Molds, presses and tables we have developed a more specific demagnetizer, that allows you demagnetize these components in a simple, fast and reliable way. 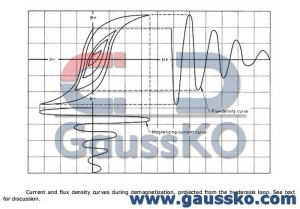 For all cases in which it becomes necessary the intervention of an external team for the demagnetization of one or more parts, GaussKO provides the experience of its technicians and the flexibility of their equipment to the the intervention of demagnetization even offsite, across Italy and abroad.